I’ve always admired Sherlock Holmes. He’s probably my favorite fictional character, mainly because he takes time to notice things most people never even consider. Today I want to talk about one of those things, the various grasses covering the ground outside. Since my mind obsesses over the “big questions” I first ask whether or not grass has always existed, and if not, how long has it been around? The answer is no, it hasn’t always been around, and on an evolutionary time-scale it’s actually a rather recent addition to the Earth. If you were to go back twenty-five million years or so, you wouldn’t find any grasses. The dinosaurs never had a chance to see a single blade of grass. I find green grass to be one of the most aesthetically pleasing sights in the world. Even when full grown, few things are as soothing as watching their flowers sway in the wind. Oftentimes grass flowers are not recognized as such. Many grasses grow in open, treeless country where there is nearly always a breeze to distribute their pollen. With no need to attract animal or insect pollinators, they don’t bother with the colorful flowers and instead use small, drab scales which grow in clusters on special tall stems. Thinking of flowers, if I were given all the money in the world, I’d buy a large chunk of land and create a giant garden like paradise, hiring a legion of workers to help me keep it all maintained. I love flowers and I love the outdoors. 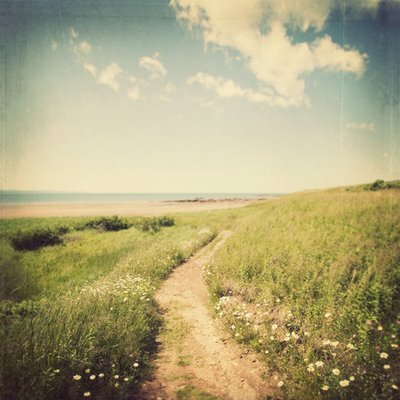 Growing up I spent all my time outdoors, and while many people think I’m a person who spends all his time on the computer, I’m actually outside quite a bit. 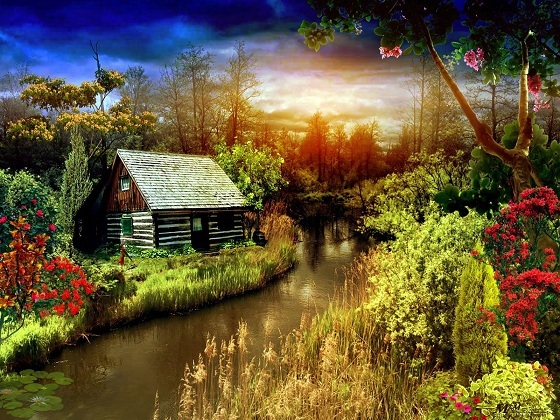 If it weren’t for work and school I’d live in a log cabin in the middle of nowhere, having very little contact with anyone. I’d spend half my day studying and the other half planting elaborate flower gardens. I sound like an old man, but I’ve never been able to relate to most young people. They like rock concerts and movies. I like books, flowers and the breeze. Sorry for the slight tangent there. The main thing grass needs is sunlight. 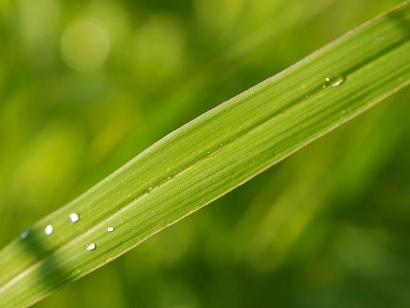 Grasses can endure scorching heat, fires, and intense sunshine, but they always need light. That’s why you won’t find any grass on a forest floor – there’s not enough sunshine. As for fires, while their leaves may be destroyed, grasses have their root stocks lying close to the surface of the soil and these are seldom damaged. This is the central reason they’re able to maintain themselves after regular mutilations from animal grazers and the blades of lawnmowers. Their remarkable endurance comes from the way they grow. Take the leaves of most plants. They spring from buds on a stem which then develop into a branching network of veins which carry their sap, eventually expanding out into their final shape. If they’re damaged, this design can stop sap leakage but most plants are unable to repair themselves further. Grass is different. 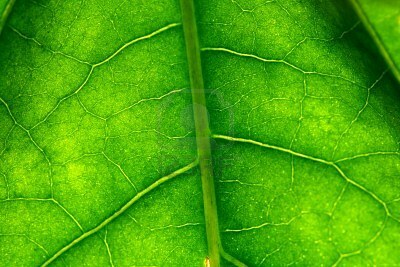 Its veins form, not in a network, but in a straight row of unbranched lines that run up the entire length of the leaf. The growing point is at the base of the leaf and it is active throughout the entire life of the plant. If the upper section of the leaf is damaged or chopped off, it grows again from the base to restore its original length. Let’s compare the leaf structure of a normal plant with that of grass. First a normal plant leaf. See how it’s like a web? Grass leaves don’t look like this. There’s no branching out. It’s straight lines. What I always find fascinating about the world is how intricate and subtle it is. All leaves aren’t the same. Our eyes aren’t exquisite enough to notice all these details, but they’re there if you take the time to look. Grass leaves almost seem more engineered and less natural. Straight lines are very Euclidean. I guess I always supposed that nature is more fractal like and branching but this isn’t always true. 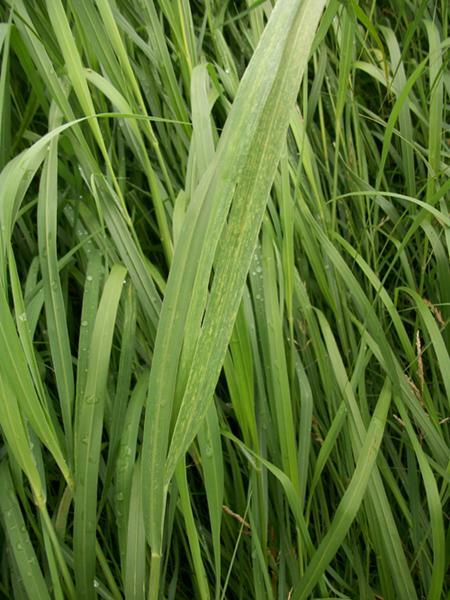 But not only grasses durable, they’re also capable of spreading better than most plants. They don’t just rely on seeds to spread; they’re also able to put out horizontal stems along the surface of the ground and each joint of these is able to sprout leaves of its own along with roots. As a child I used to wonder how long grass lived. Do each of those little plants live forever? How old was the grass? If I continued to water it, and it always got sunshine, would it live forever? You might guess that the answer is no, and you’d be correct. 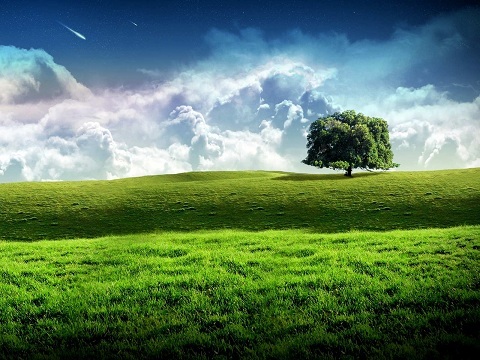 Nothing in this world lives forever, not even the grass. Most individual grasses live for a few years before being replaced by new seedlings. So every few years what you’re seeing outdoors is a brand new lawn. 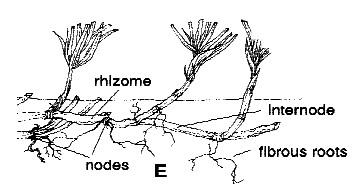 Each grass has its own root structure and different root structures require different soil depths. 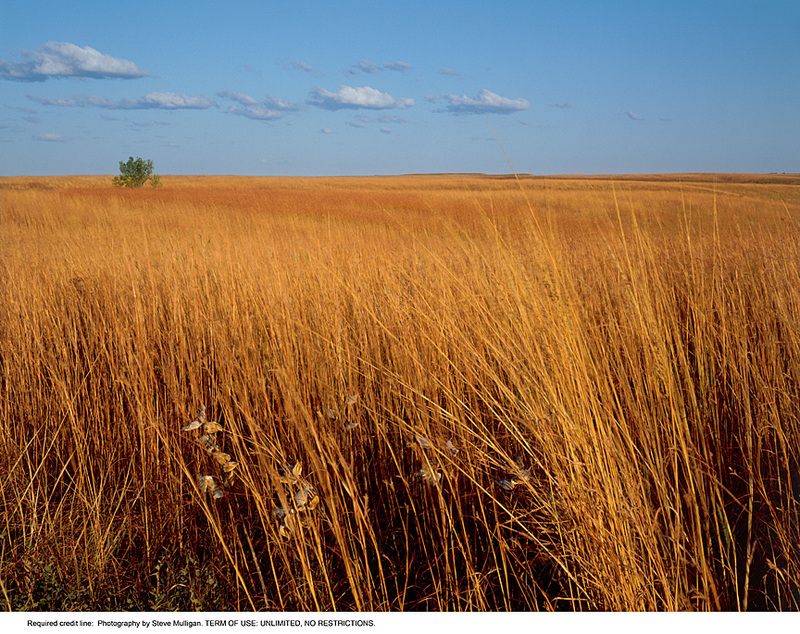 On deep, well drained loamy soils, tall growing species such as big bluestem, B. dahl bluestem, and switchgrass develop root system five to seven feet deep. 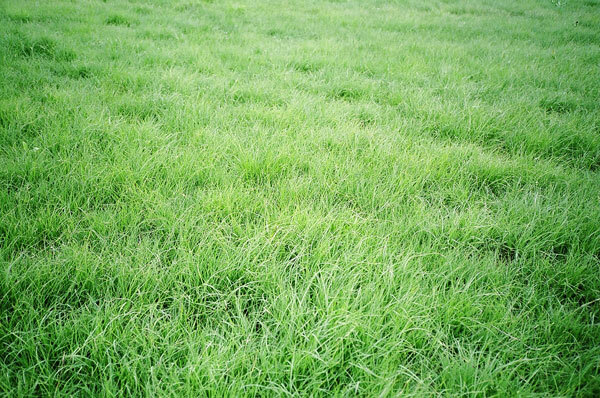 Other grasses, such as blue grama, buffalograss, or common bermudagrass only need two feet of soil. 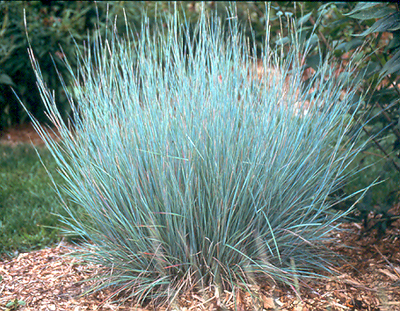 My favorite color is blue, so it’s only natural that my favorite grass is bluestem. Isn’t that nice? You can plant it as its own shrub in your flower garden and it stands alone, but it will also grow into a tall field and it’s beautiful to watch sway in the wind. And we’ve all seen switchgrass. It’s everywhere. For good measure I’ll include a picture of buffalograss. I think it’s the most beautiful of the green grasses. You may have seen areas where grass is all spread out in small little clumps, leaving patches of dirt. The Sherlock Holmes side of yourself may have been wondering, “Why does grass grow in a patchwork in this location whereas in this other area it’s very lush and full.” For plants (grass included) to survive in shallow soils, they must spread themselves out so that their roots can spread around their radius to get water and nutrients. Patchwork grass clumps indicates that the soil doesn’t go down very far at that location. When plants have adequate soil depth, their roots will go down deep and they can happily sit right beside one another. Soil texture is related to the different proportions of sand, silt, and clay. This determines both the fertility of the soil as well as its ability to hold water. Sandy soils have lower water holding capacity and greater aeration, whereas, clay soils have higher water holding capacity and lower aeration. If you’ve ever played in the dirt (I used to all the time as a kid), this will be obvious to you. I used to make things out of clay along the creek bed, and remember how clay would stay wet a long time. Sandy soils have a lower capacity to hold cations. 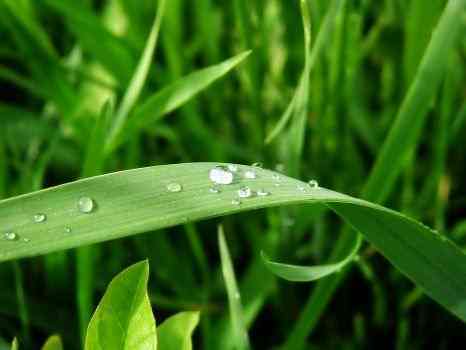 Grass roots use these ions (primarily calcium and magnesium ions), in the process of extracting nutrients from the soil. I don’t know this for certain, but I’m guessing the electromagnetic radiation from the sun stirs up the charged particles in the top-soil and somehow this is related to how the roots extract nutrients from the soil. This is why the soil needs ions in it in order for plants to grow. Since roots are living breathing cells, they also need oxygen. They actually “breathe” underground which is why there has to be some degree of aeration in order for plants to grow. If the soil is too compact, or there’s too much water, the plants literally drown. All plants also need core nutrients from the soil. They’ll only grow as far as the most limiting nutrient allows. The main nutrients used are nitrogen, phosphorous, potassium, calcium, magnesium, and sulfur, but small amounts of iron, manganese, cooper, boron, zinc, and a few others are also used. But surprisingly, very little of the plant is made up of these compounds. 95% of plants are composed of carbon, hydrogen, and oxygen in the form of carbohydrates and water. Nitrogen is kind of complicated. There’s an entire nitrogen cycle when dealing with plant growth. It’s one of the most important because it’s used in cell growth and the formation of proteins. If you want the grass to grow quickly, you’ll need soil rich in nitrogen. In nature, where does the soil get its nitrogen? A small amount comes from rainfall when the droplets attach themselves to nitrogen from the atmosphere, but most of it comes from decay of organic matter. When insects, microbes, algae, and others eat on dead materials, their waste is rich in nitrogen. Next Next post: No… Nooooo… Not Obamaville! Anything but Obamaville!